Yesterday, we went to the newly built Cyclopark in Kent, for a Skyride event. 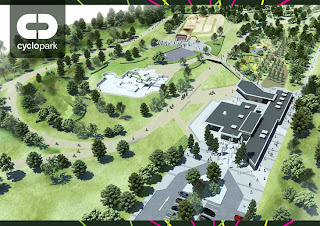 The Cyclopark is a venue that houses various cycle tracks - BMX, mountain biking, road cycling and has a big kids play area, cafe etc. As this was a Skyride event, it was free to get in, and there was a wide variety of people who came along - lots of famillies with young children, teenagers on their BMXs, couples like me and Francis on mountain bikes (although in hindsight I should have taken my road bike) and club cyclists in their co-ordinated lycra outfits. So, it was fine for cycling, and we enjoyed ourselves to the extent that we have signed up as members and will go back to cycle at the park again. The problem I have is that I am due to run a marathon there on Monday 4th June...17 laps of the road cycling track for the Kent Roadrunner Marathon. This would be my 4th marathon in the last 8 weeks so it's certainly not a goal race, and I always knew that running so many laps would be hard, but having seen just how uninspiring the venue is, I am really thinking about whether this is something I want to do at all. I only booked this marathon as part of the training for the ultra, and although I suppose that psychologically it would be great training to complete such a mind-numbing course, I'm wondering if I'm losing sight of what running marathons is about...you know, enjoying the experience...and thinking that maybe it's not worth going to a race that I'm pretty sure I'm not going to enjoy. I wouldn't do it! I think it might knock your spirit a bit and your love of running. I hate lap courses at the best of times (running the same thing a couple of times is not great) but out in the country they are not TOO bad. But yeah I guess the other side is that if you can do that, you can do anything. But I still wouldn't do it, despite the fact that I hate backing out of anything I have said I will do!! Pah! My comment has been published under my old blogging ID (Reluctant Blogger). I don't use that anymore. I am ginavpreston on Twitter just in case you don't like anonymous comments. I think that I can read between the lines and your heart is not fully into this one. It is a nice idea but you have done a lot in the past 2 months and I honestly think your body needs a rest. They say that a marathon will stay in the legs of a runner for at least 6 weeks after and event and you have done so terribly well of recent. Jezza is probably right, I will be there in some shape or form after my mates Stag Do over the weekend, so not expecting any PB's!!! Naomi, it is a very small world in the ultrarunning, I was supposed to be at the same stag do but GUCR came in first. I met Mr Immune during the London to Brighton 2009 and Rob, who is in his user pic, at a 30 miler in Arundel in 2008. The best event we ever did was getting drunk at Crystal Palace Athletics track during the Aviva series of 2011...that is a very different story!!! 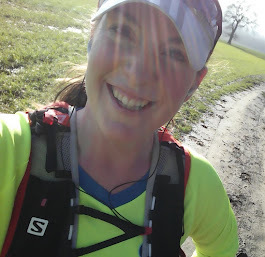 Ultra runner trying to get back to full fitness after having three children, and chasing full membership of the 100 Marathon Club. Is running any good for overweight and obese people? 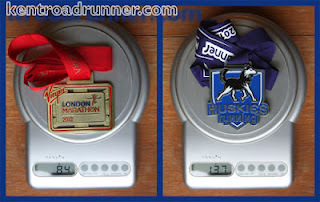 So many marathons...all the way around Britain!